The ArtD'partment photo by Roger W. Fair. We hope you find the information we have here to be a helpful overview of our services. If you have questions that aren't answered here, please feel free to contact us. ...are the keys to growth and success. 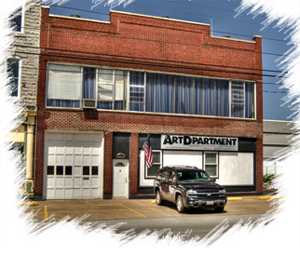 Whether you need ideas, or you need your own ideas executed, The ArtD'partment will work with you to establish and publicize the services you have to offer. ...span a broad range of services, including corporate IDs, brochures, and print advertising campaigns. We're also experts at translating your print identity into electronic media with our Website design, construction, and marketing services. ...look to The ArtD'partment for answers! In uncertain times, we tend to do all we can to minimize risk. When sales are down (or when we fear they will be), advertising might be considered one of those potential risks. In fact, the opposite is the case!